Supporters of the United National Congress in a jubilant mood at the party’s Monday Night Forum at the Rochard Douglas Presbyterian School. OPPOSITION leader Kamla Persad-Bissessar is threatening to take Prime Minister Dr Keith Rowley’s government to court to have two seats, made vacant by the deaths of two councillors on the Port of Spain and San Juan Laventille Regional Corporations, filled. The United National Congress (UNC) political leader told her party’s Monday Night Forum at the Rochard Douglas Presbyterian school in the Moruga/Tableland constituency, that the bye-elections for those two seats are long overdue. She has already taken the first step, serving Attorney General Faris Al-Rawi with two pre-action protocol letters on Monday, instructing him to take action to have President Paula-Mae Weekes issue a writ of election for the Barataria and Belmont East electoral districts. Failure to do so within seven days, she said, would result in the UNC going to the Supreme Court to enforce the rights of the constituents, on whose behalf she is acting, to representation by a local government councillor. The two councillors, Pernell Bruno – the representative for Barataria on the San Juan Laventille Corporation, died on July 8 last year after a battle with cancer. The chairman of the corporation declared his seat vacant on July 26. On November 18 last year, Belmont East councillor Darryl Rajpaul, who sat on the Port of Spain City Corporation, died suddenly while playing football. The proposed claimants in the Barataria electoral district are Sarika Ryana Dharam and Kimraj Singh and Jennifer Parial and Karen Sookram, constituents of the electoral district of Belmont East. They are contending that since the deaths of the councillors, no steps have been taken by either the Minister of Local Government or the Cabinet to satisfy the President that their seats had become vacant. Further, Persad-Bissessar said there has been a continuing failure by Local Government minister Kazim Hosein, and of the Cabinet to exercise the powers under section 29 of the Municipal Corporations Act, Chapter 25:04 to issue a writ addressed to the returning officer in both districts for the election of new councillors. Saying Belmont has been without a local representative for the past eight months, Persad-Bissessar said this is in violation of the law. 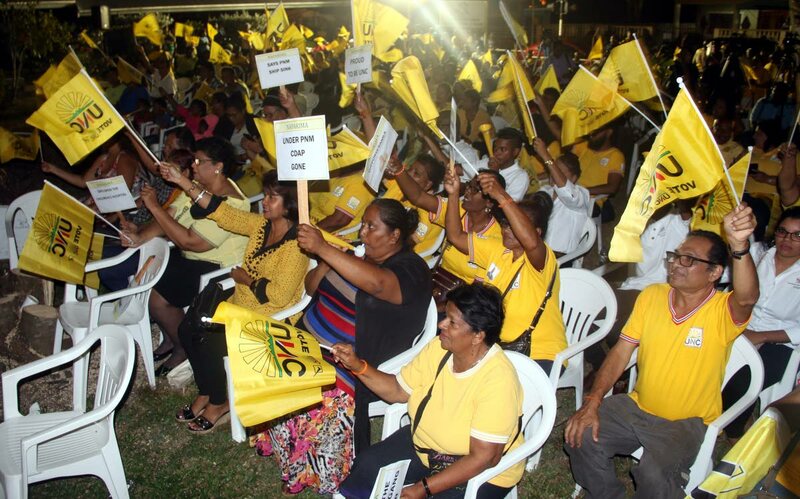 “Since 2003 the PNM has been promising local government reform. When they held the last local government election, the entire platform was on local government reform, but today they have done worse than the (late prime minister Patrick) Manning PNM. Reply to "PM breaking the law"